Contact Hollywood Slip & Fall Lawyers Gerson & Schwartz, P.A. Hollywood is a city in Broward County in South Florida. With 150,000 residents, it is one of the biggest cities in the county. It was developed in early 20th century by Andrew Young, who wanted to build his dream city in Florida and named it after its Californian counterpart. The famous Young Circle was named for this founder. 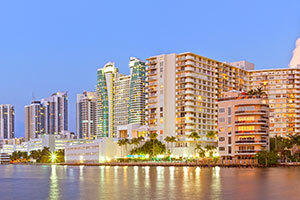 It is located next to the Atlantic Ocean on the east, Pembroke Pines and Miramar on the west. Fort Lauderdale and Dania Beach are on the north, while Hallandale Beach is on the south and West Park and Pembroke Park are on the west. Hollywood abounds with entertainment options. Whether it is shopping malls, theaters, restaurants, museums, retails stores, golf clubs, casinos, there is something for everyone there. So, if you went shopping, dining, or entertaining somewhere, you tripped on something, fell down, and sustained injuries in Hollywood – what can you do? Now it's time to think about getting compensated for your injuries by the party who is responsible for the accident. You can learn about that by calling our Hollywood trip and fall accident lawyers at Gerson & Schwartz for free consultations at (305) 371-6000. We can answer your questions and provide you with your options. Our Hollywood trip and fall injury lawyers handle cases on a contingency basis, which means that you have no expenses upfront or during the process. We will take care of that and will charge fees only when we recover damages for you. These are just a few examples of how we could serve you, but if you were injured somewhere else, you might still be entitled to pursue financial recovery. Call us for the free consultations, and we will clarify your potential options. 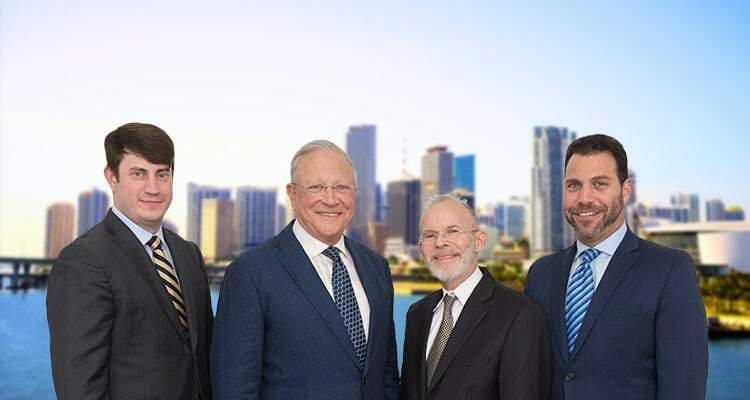 The Hollywood accident lawyers at Gerson and Schwartz can help you find justice for your accident through the legal system of Florida. We have the experience in negotiating with insurance companies and persons that deny responsibility. We know that a strong negotiating position is crucial for successful resolution of the issue, so we always build a strong case before approaching them to negotiate. If the defending party fails to engage in good faith negotiations we will file a lawsuit on your behalf. The Hollywood trip and fall accident lawyers at Gerson and Schwartz are willing to go to trial when necessary. This is how it may unfold, but for specific advice, you should call us at (305) 371-6000. The first consultation is free and means no obligation to hire us for representation. If you do hire us, though, we won't ask for fees until we recover for you.